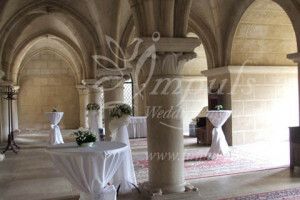 Welcome ceremony or welcome drink, aperó or small banquet, however you call it, you may have it in a beautifull Column Hall. 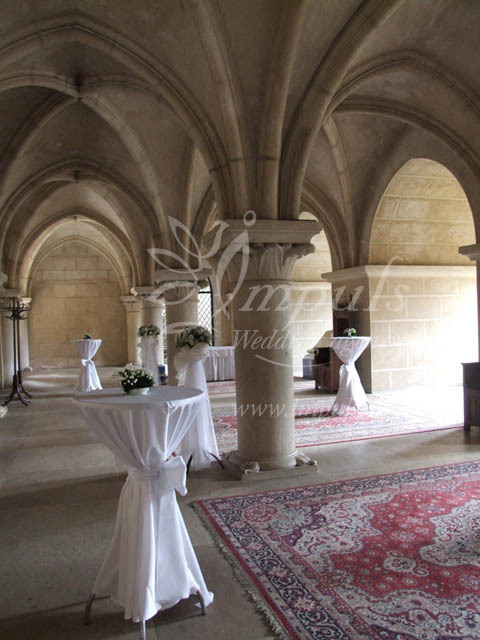 Ceiling, historical columns and 2 big statues just underline the castle atmosphere. 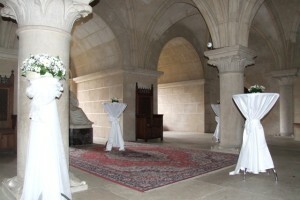 When you welcome your guests in this room just before or just after the ceremony, you may feel as the castle is only yours. 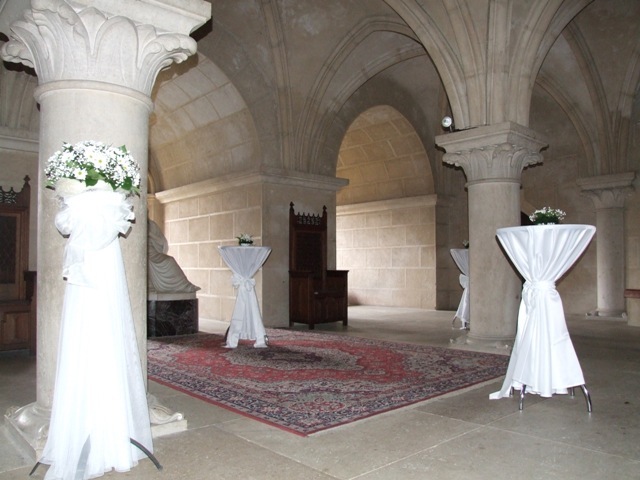 Enjoy small refreshment and welcome drink in Column Hall of Bojnice castle in any weather and celebrate your wedding straight at the castle or anywhere else. 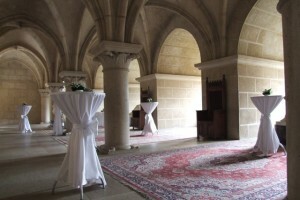 As Column Hall is not connected with the kitchen, it is possible to serve only small and cold refreshment in there. 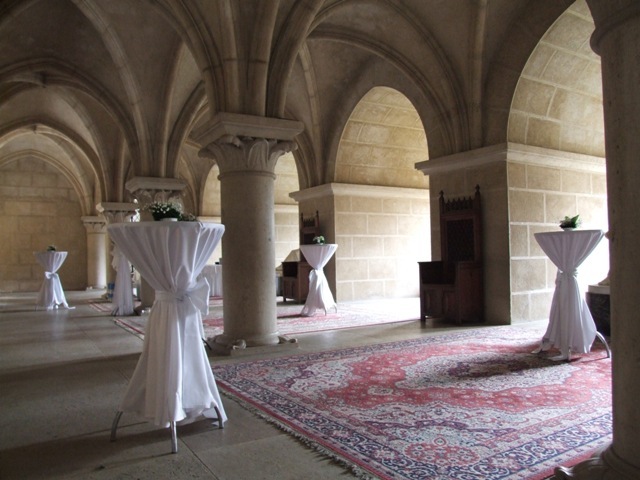 The Hall is pretty cold, so longer seating is not recommended. 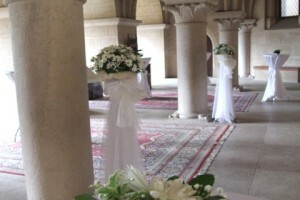 Hall is more suitable for summer wedding banquets. 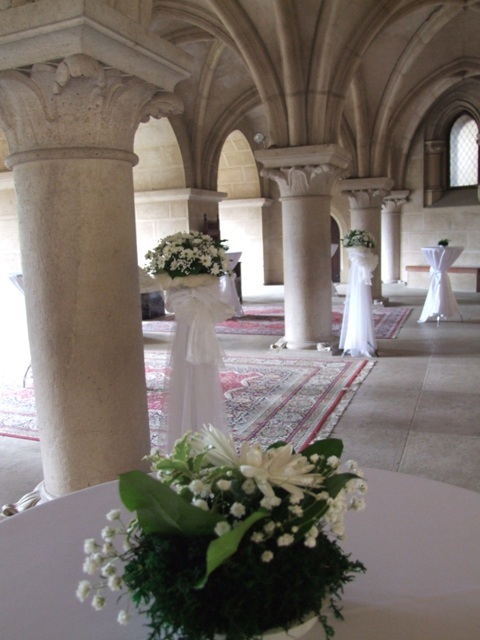 We plan every detail for your reception at Bojnice castle Column Hall for you to enjoy your wedding in full. Contact us for more info.